Today represents a beginning, not an end. 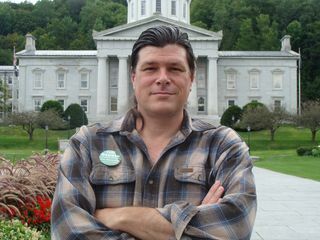 When I agreed to take on the difficult and exhausting task of running for Governor as an independent this year, I did so with the hopes that my actions would serve to help lay the foundations for a robust, grass-roots movement that will carry the message of a Free Vermont forward. Towards that end, I’ve been collaborating with several supporters to found a democratic, state-wide organization. 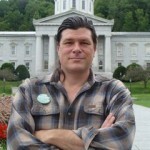 Dedicated to spreading the ideas of Vermont Independence, providing support for Independence-minded candidates for public office, and organizing volunteer activities that both serve our neighbors and help lessen our communities’ dependence on the Federal Government, it will serve as our movement’s new center and engine of growth. It will be organized by county, and I encourage anyone who supported my campaign to get involved in their county committee. Keep an eye on our Facebook page (http://www.Facebook.com/FreeVermont) in the next month for updates about this vitally important project! Additionally, it is my sincere hope that many of the people who’ve come forward in support of my campaign over the last year will seriously consider donning the mantle themselves and run for office in the next election. Only time will tell what new leaders are destined to emerge in our movement over the next two years, but, with hard work and dedication, I believe 2012 could mark the beginning of the presence of Independence-minded legislators in the State House. In this election, we demonstrated our presence in Vermont’s politics; both Pete Garritano and I finished third in our races, ahead of all the other independent and third party candidates. Our next step is to build upon the foundations of this success and take our movement to the next level! To conclude, thanks again to all of the supporters around Vermont whose time, energy, and generosity made my campaign possible. Keep in touch, involved, and imagining Free Vermont! Over the course of this year’s race for Vermont Governor, Dennis Steele’s presence in the contest and debates has had the effect of forcing the issue of America’s crippling involvement in no-win wars half-way around the world into the discourse around the election. At one debate, Peter Shumlin, while hedging himself by claiming that the Governor lacks the power to have much impact on foreign policy, stated that he would use the bully pulpit of the Governor’s office to publicly oppose the wars. If Mr. Shumlin is serious about his support for a foreign policy of peace, he owes Vermonters an apology for bringing a man whose hands are irrevocably stained with the blood of the 115 Vermonters (2) who’ve been killed or wounded so far in the illegal and immoral Iraq War. If he doesn’t have the strength of character to stand up for the people of Vermont against an influential member of his party, it will only go to show the shallowness of his commitment to achieving true justice for Vermont. It’s time to end the wars and bring our friends and neighbors home safe; to do so, we need a Governor who will stand up to the Federal Government, not one who’ll kow-tow to the very people who’re responsible for this mess. If you agree, please vote Dennis Steele for Vermont Governor tomorrow; Imagine… Free Vermont.